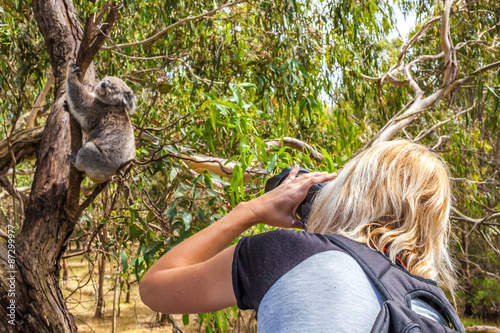 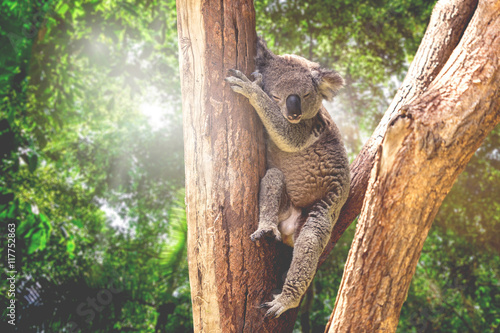 koala at Port Stephens area, NSW, Australia. 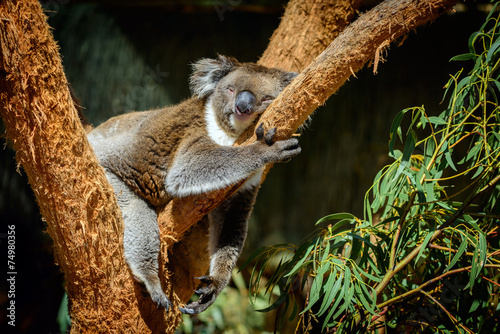 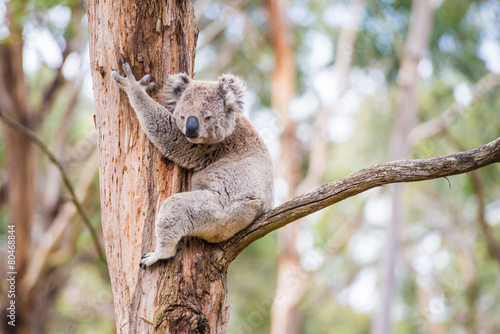 Koala in a eucalyptus tree. 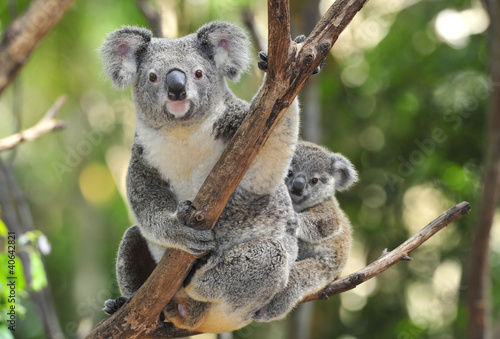 Koala is on the tree. 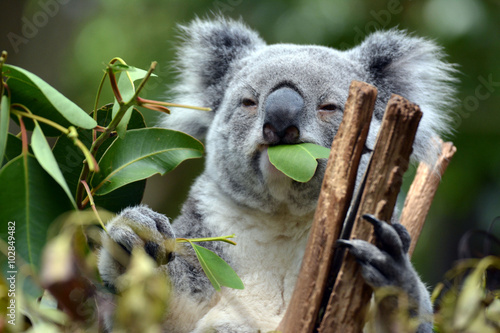 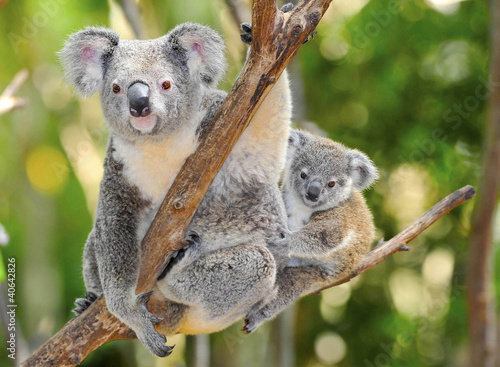 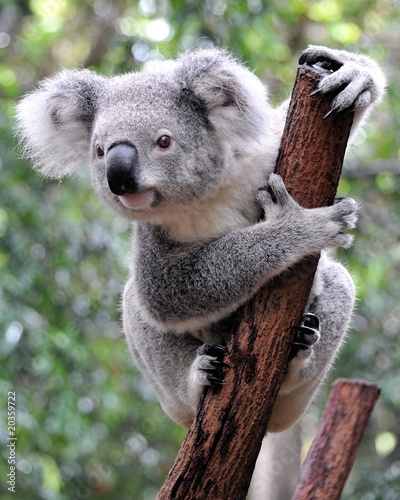 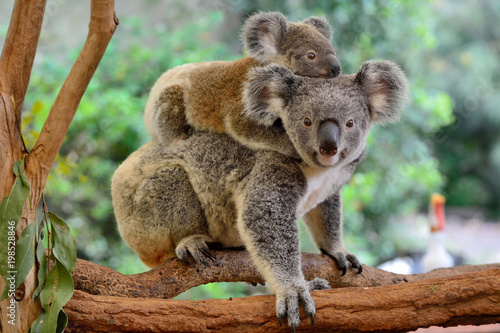 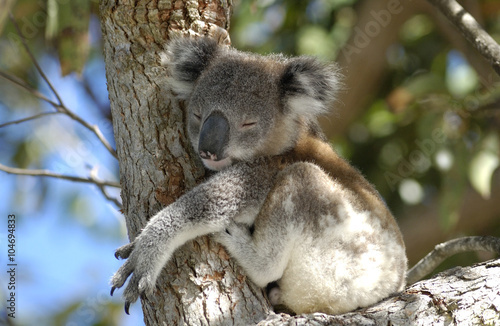 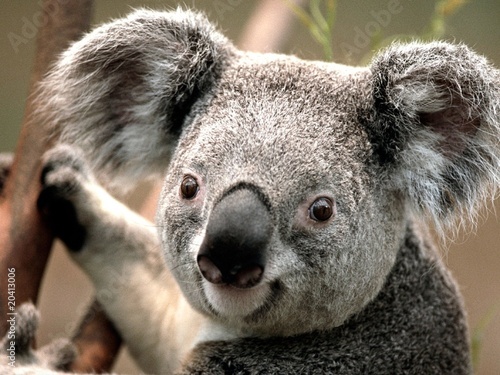 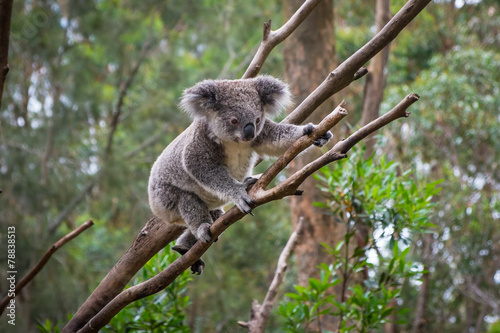 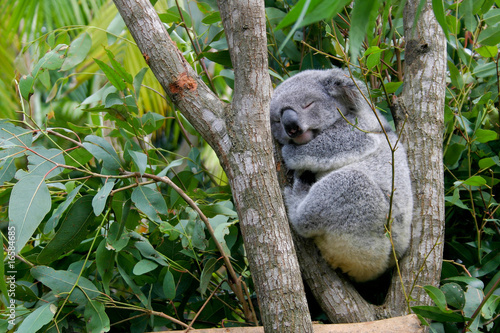 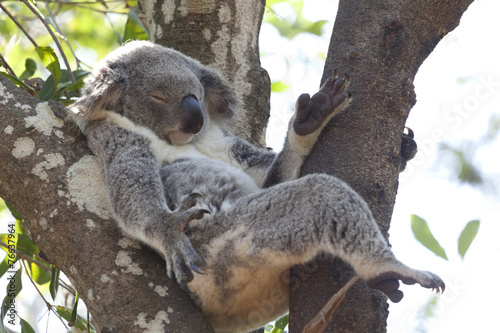 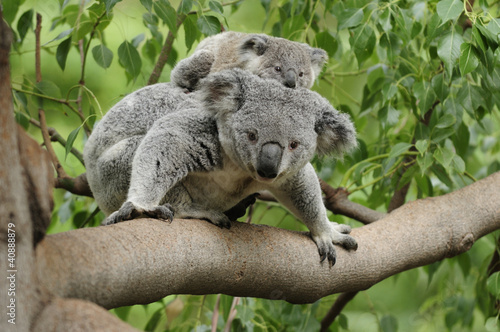 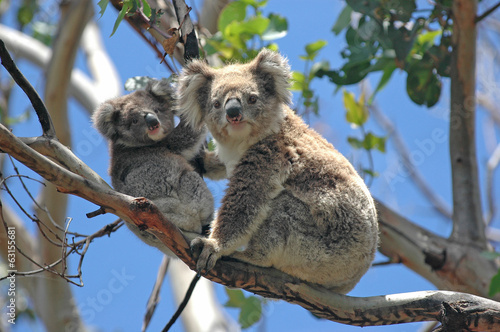 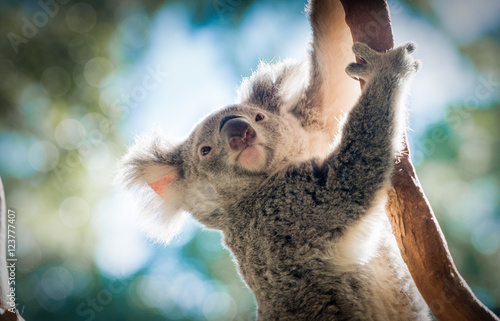 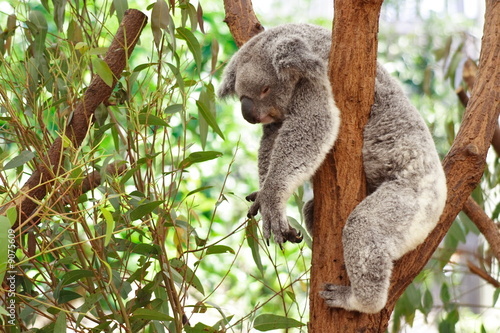 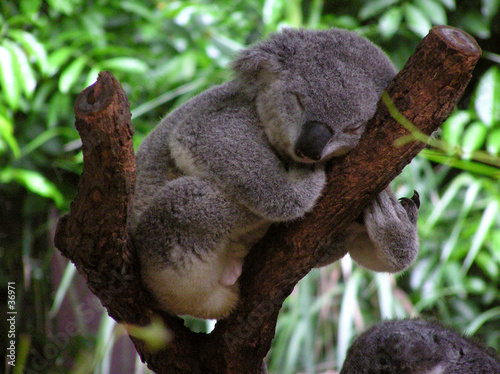 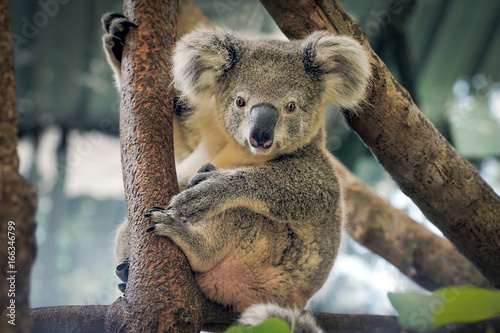 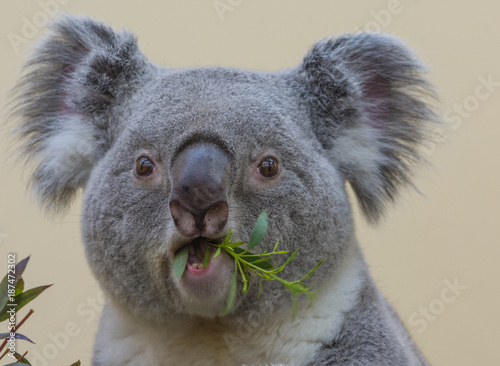 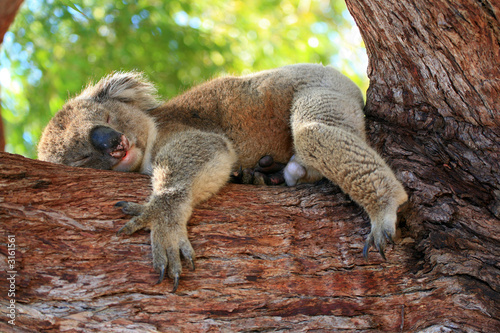 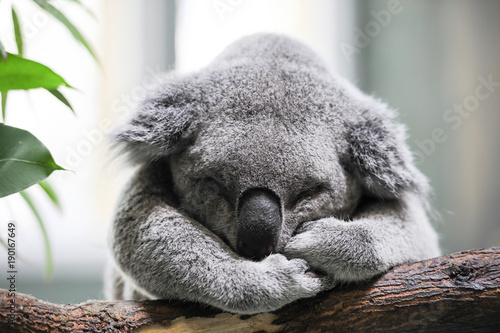 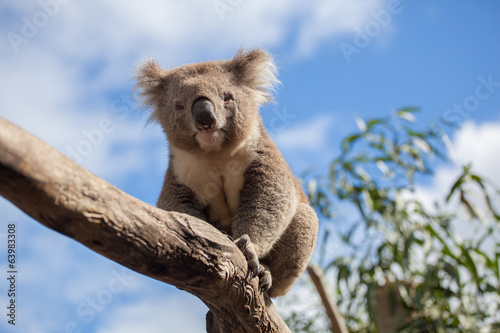 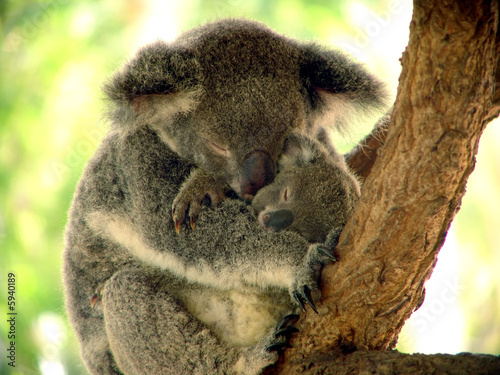 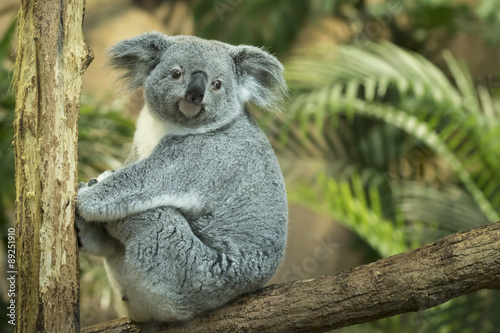 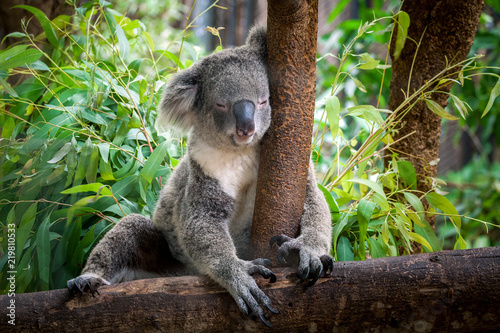 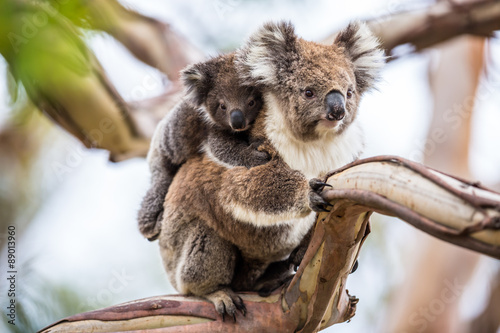 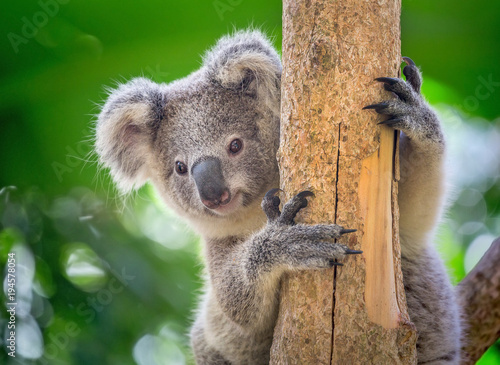 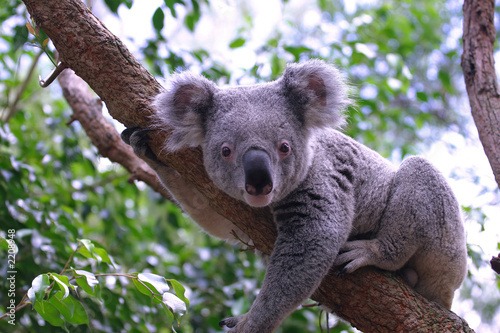 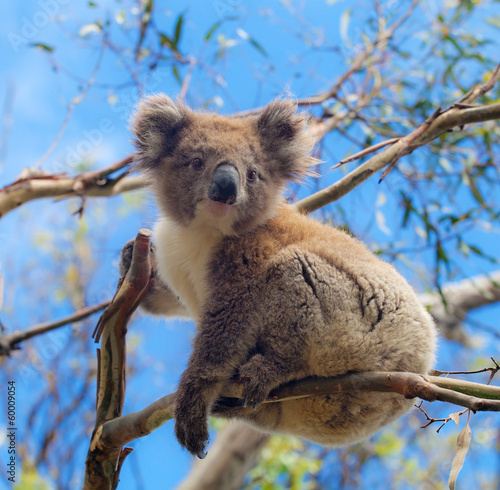 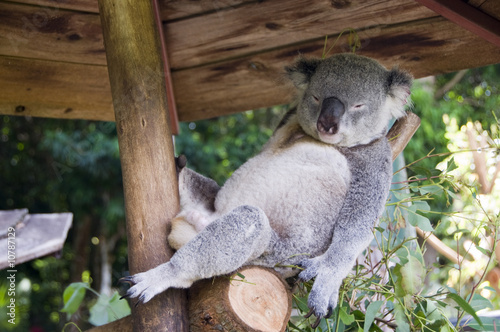 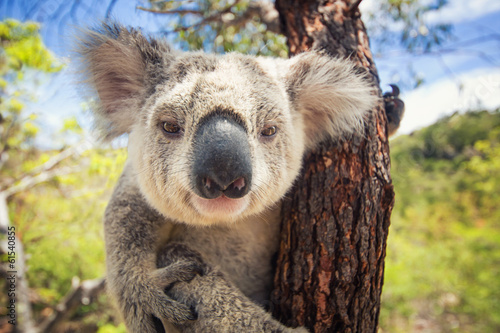 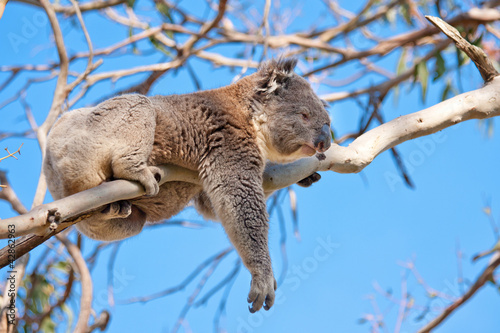 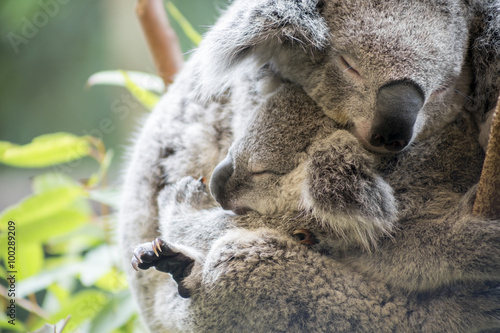 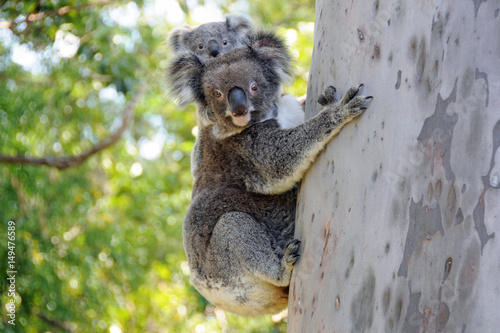 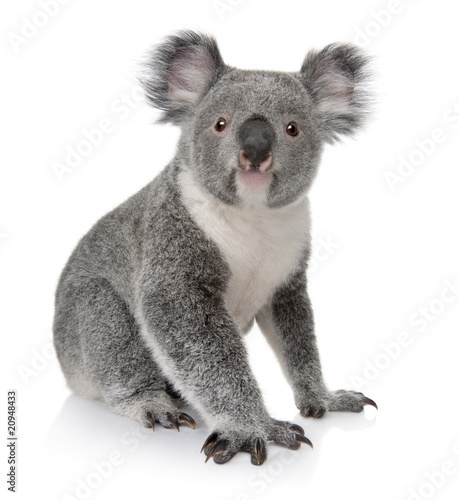 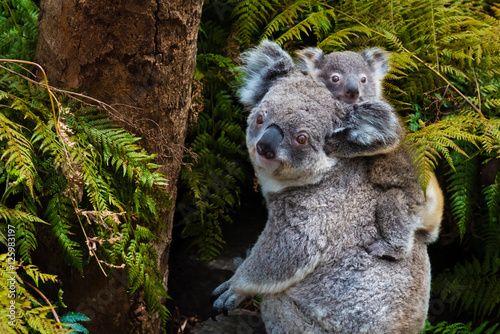 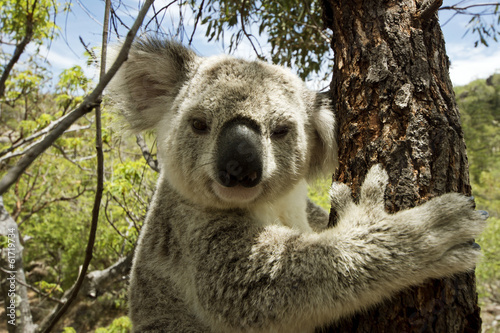 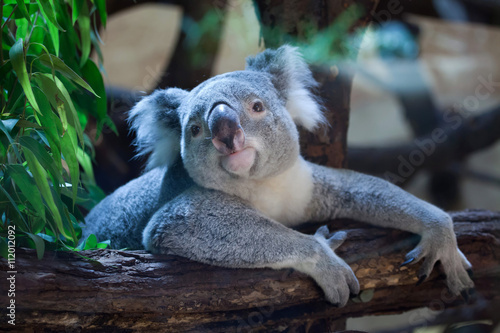 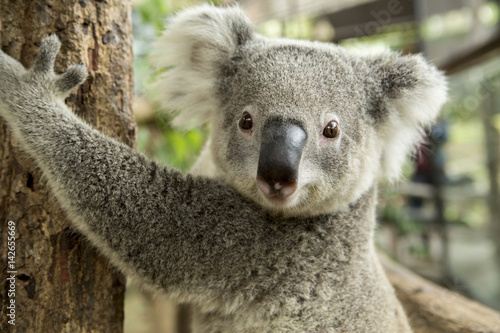 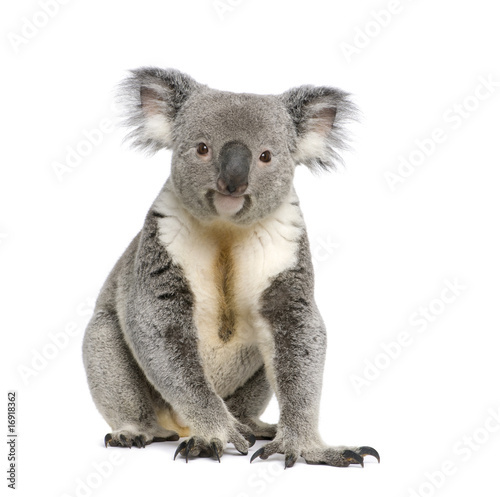 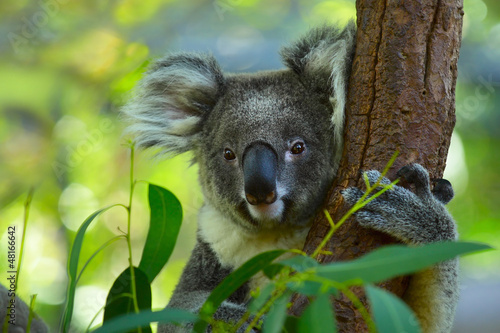 Queensland koala (Phascolarctos cinereus adustus).